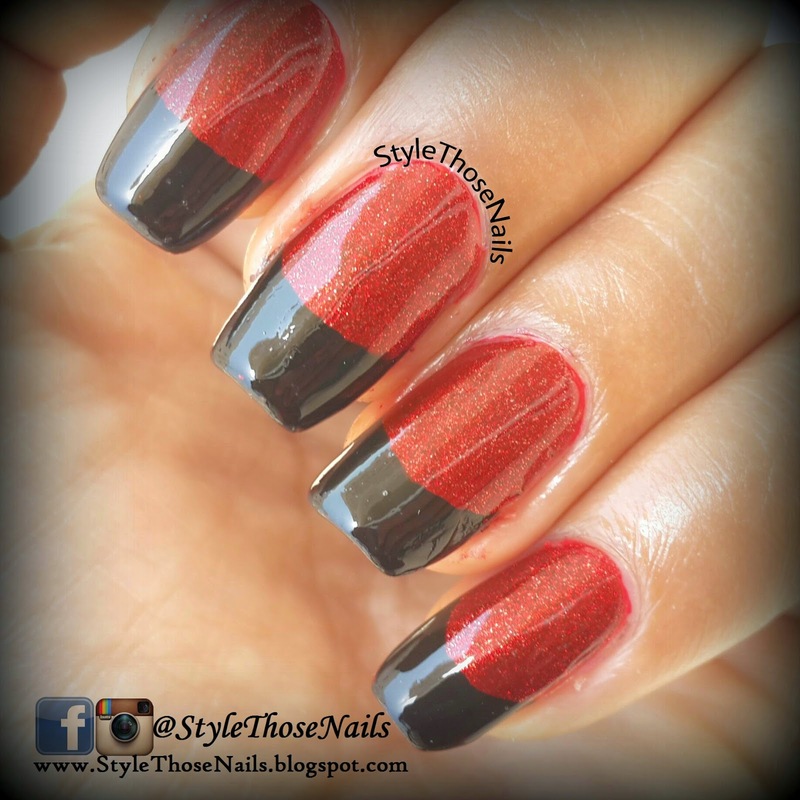 Today I am sharing a Red hot mani :) This is quite eye-catching nail art and you can wear it on any day to make a statement. Let's have a look ! This manicure is easy to do. 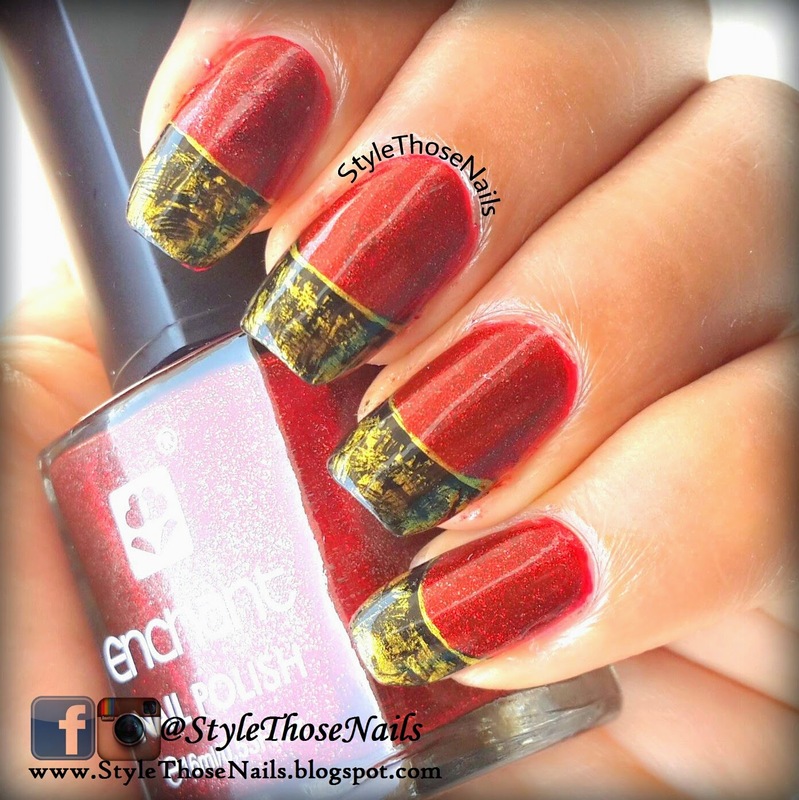 Here I have used a deep red nailpolish from Enchant Polishes(available in Qatar) as base. This shade is number 25 (I wish these polishes had names !) 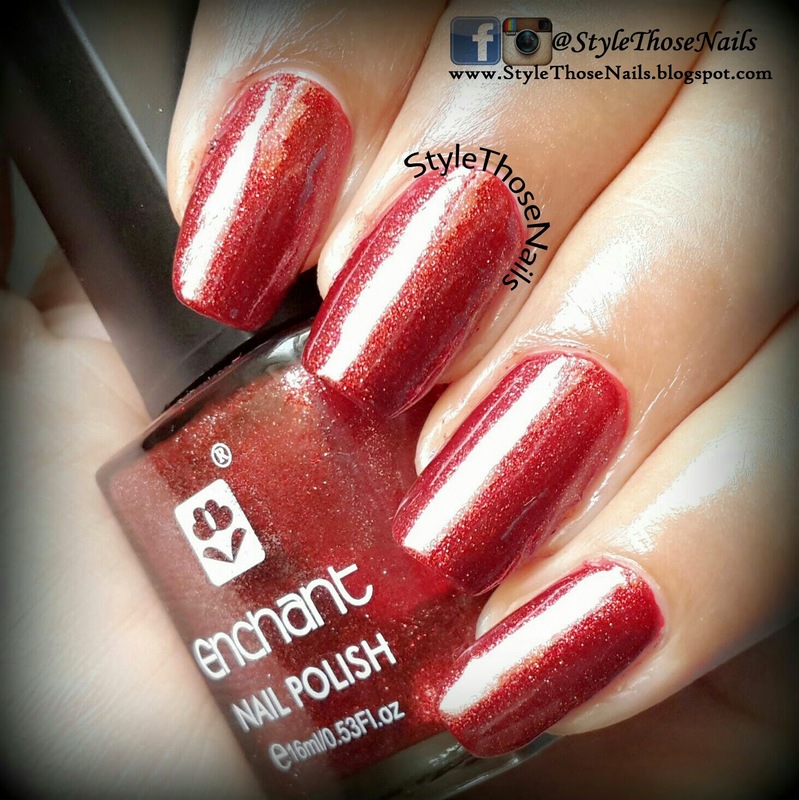 It's awesome Red with little shimmer which adds to it's glamour. First apply the red polish then do the black tips as we do for french manicure. I applied the black polish directly from polish brush. Just rotate the nails to get straight line. To get distressed look. Apply a golden polish over the black making horizontal and vertical strokes but do not over do it. Remember to wipe out maximum polish on tissue paper before applying on nails. 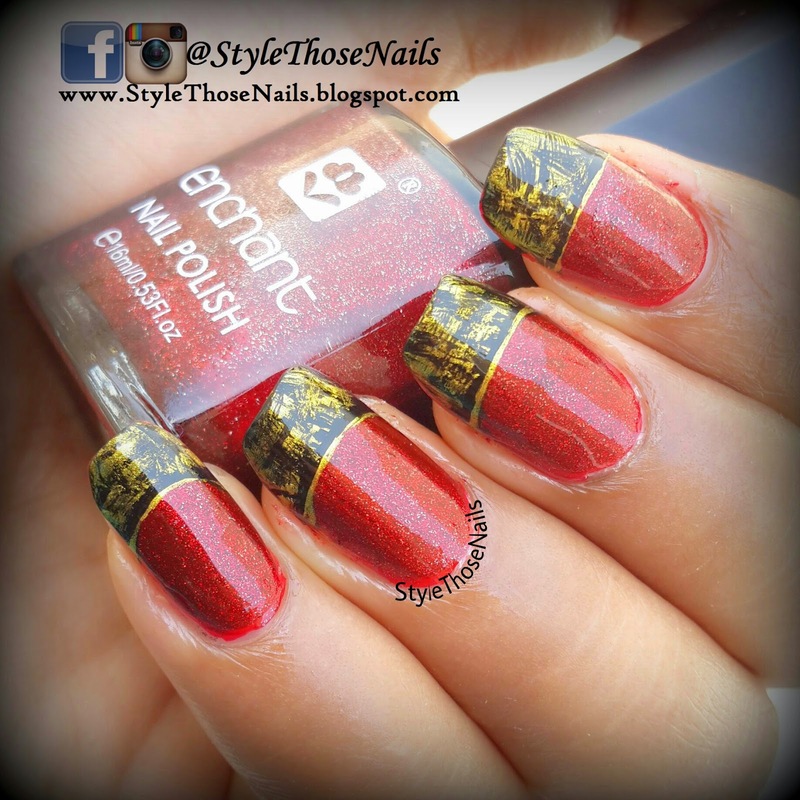 Now outline the french tip with a golden line. That's it. I hope you will like it. Just try it and share with me on my social media by tagging me on the post. Love to read your feedback so make sure to leave one ! Haunted House Nails - Halloween Nails ! !